Hannah Montgomery, author Sandra McGregor’s heroine, sits down with us for a Q&A session today. I have to say that’s a very interesting question. Life has never been what you’d call easy for me. Even though my mother always worked just to feed the two of us, I knew she loved me more than her next breath. Unfortunately, she was killed by a taxi a short while back. Since then, I’ve been managing the boarding house where I live here in Los Angeles, California, in exchange for free rent. It’s 1934, and the movie business is starting to boom. 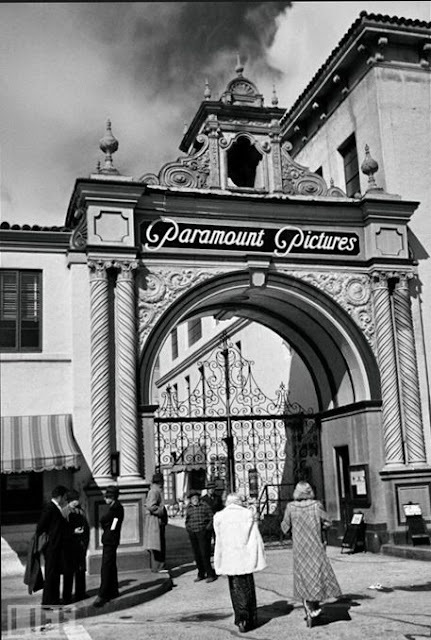 So at twenty-three, I’m very lucky to have a job at Paramount Studios, doing hair and makeup for movie extras. It’s long hours—certainly not paradise, but everything was going great until Ms. McGregor dropped John Staples into my life. I like Ms. McGregor well enough, but why did she have to send a guy into my life that’s handsome, polite, and very attentive—a characteristic sure to catch a lonely girl’s attention and make her swoon? I love people and try to see good in those around me. They all say I’m kind, but I truly enjoy helping them whenever and however I can. It takes long hours of work, but that’s all right. I’m coming to realize that I trust too easily. I mean, really, a co-worker pushes his way into my apartment after only a couple dates and tries to force attention on me, not accepting that I’m not interested in him. Thank goodness for the good Samaritan living across the hall for coming to my rescue, but then when a handsome new tenant arrives from Alabama, I promptly invite him in to share dinner with me. Didn’t I learn anything? Men can’t be trusted. Oh my, that’s a difficult question. There are days I don’t think my author cares much for me. She had my mother killed, leaving me alone in the world since, according to my mother, my father died in the line of duty while working with the Los Angeles police. Then that same author sends me a handsome man who is wonderful and makes the future look rosy again, only to have him admit that he has been lying to me—actually lying by omission—because he withheld the fact that my father isn’t dead, but a Mafia don in New York. He even admitted that my father asked him to keep an eye on me and let him know if I needed anything. Can you believe that? Yeah, I think that was pretty strange. Well, I might not call it arguing, exactly, since I was raised to be a lady, but I’ll admit that I’ve confronted my author on occasion. I don’t think she’s always fair with me and I don’t hesitate to let her know. After all, how many times should one person have their life turned upside down? I grow up without a father, lose my mother, find a nice man, lose him when I tell him to get out, and then gain a father—one my “boyfriend” thinks I should meet. Really? I never raised my voice, but I didn’t mince words when I told my author how cruel she was being to me. I hate the thought of being alone in the world and not having anyone to love. I realize love demands trusting the other person, but it’s hard when you’ve been hurt over and over. I fear John won’t be patient and wait for me to come to terms with life’s left hooks. Ah, that’s easy. John Staples. He’s smart, loves to spend time with me, and makes me laugh. If possible, maybe I’d change my decision to go meet my real father. My imaginary father was a hero, a total opposite to the man that stood staring at me when we met. I love most of the people in my story, but the old boyfriend continued to bug me until John stepped in to take care of the problem. The only other one was my real father. It bugs me that he would allow me to believe he was dead and alone in the world. Then I find out that he paid for his stepson to go to college while I had to work to fund my education. What kind of father does such a thing? Oh, goodness, that’s another difficult one. You see, most of my close friends are the older tenants that live in the boarding house, so I wouldn’t want to exchange places with any of them. Also, I enjoy my work at Paramount Studio and I’m in love with a wonderful man, so I can’t imagine being anyone else. Tell us a little something about your author. Where can readers find her website? Oh, I love my author. Yes, I’ve sometimes felt that she was a bit cruel, but she cares a lot about me and pushes me to be the best person I can be—to step out on my own and face challenges in life. And then, of course, she gave me John, the love of my life, so I’ll always be grateful to her. Whenever I want to find out what’s new in my author’s life, I go to www.SandraMcGregor.com and check out her site. She loves to hear from people, so I know she hopes you will leave her a comment today and ask any questions you might have. She told me that she’ll be stopping by later to answer anyone’s questions and to say hi. 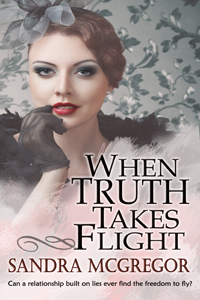 In the meantime, thanks for having me as your guest today and I hope you’ll read When Truth Takes Flight. WWI is over and light is starting to shine at the end of the depression when newly graduated aeronautic engineer John Staples stops in New York for a quick visit with his ex-stepfather who generously paid for his university education. Unfortunately, the mafia don has a small favor to ask of John in return—keep an eye on his daughter and report back if she’s ever in need of anything. Hannah Montgomery works at Paramount Studios doing hair and makeup for movie extras and nights managing the boarding house after her mother is killed by a taxi. Having never known the father her mother claimed died in the line of duty as a police officer, she is now truly alone. What starts out as a room for rent in the boarding house, and an innocent arrangement for cooked meals, soon turns into something John never expects—love. But the web of lies and withheld truth to maintain the don's secrecy has him caught in the middle, and he fears their budding relationship might not survive the truth. I really enjoyed hearing about your character Hannah Montgomery and how you put her through the hoops. You're a great writer and I wish you much success. Wow what a cover. Hannah’s story sounds like a great one. The 1930s was a interesting time in history. We're happy to have Hannah stop by today, Sandra. Thanks for the comments...and I agree that the cover is lovely. I'll pass your comment on to my publisher. Looking forward to reading another one of your great books! Thanks for dropping by and leaving a note...and hope you enjoy reading about Hannah. Living in a boarding house, you probably have lots of stories to tell. It was a pleasure to meet Hannah. Cannot wait to read the book. Thank you!